Princess Fairytale Hall Meet and greet attraction in Fantasyland’s Castle Courtyard in the Walt Disney World Magic Kingdom, opened on September 12, 2013. Behind the castle-like entrance are stained glass windows with images from Cinderella, and then the Royal Gallery. 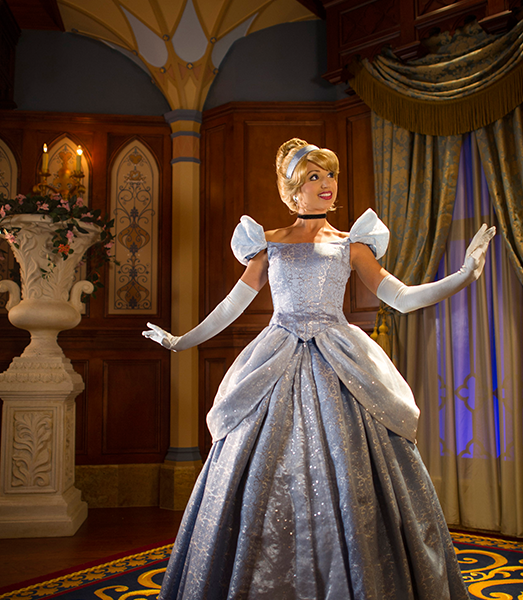 Guests select their desired princesses, and are ushered into the elegant royal chambers, richly paneled in wood. The attraction took the space of Snow White’s Scary Adventures.